KUALA LUMPUR:In late December 2016, MyHSR Corp chief executive officer Mohd Nur Ismal Mohamed Kamal told the media that land acquisition for the Kuala Lumpur-Singapore High-Speed Rail (HSR) project will take place by the third quarter of 2017, after the public display of the project’s “alignment plan” has been done. When this ambitious project is completed, it will link Kuala Lumpur (at Bandar Malaysia) with Singapore (at Jurong East) via a pair of rail tracks laid across 350km, of which 90 per cent (335km) will be on Malaysian soil. Over the last 12 months, the corporation has been studying the best location for this final alignment — a tract of land measuring 50m wide from Bandar Malaysia all the way to Iskandar Puteri in Johor. 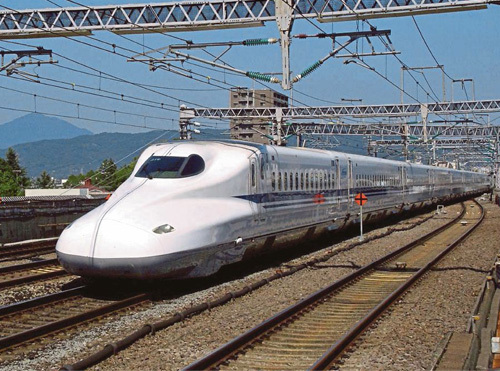 The 50m-wide land band is regarded as sufficient to accommodate the tracks as well as the buffer zone for safety purposes, since the high-speed train is expected to achieve a top speed of 350kph. Mohd Nur said that a mixture of private land (alienated land) and state land will be acquired. Compensation will have to be paid (under the Land Acquisition Act 1960) in respect of the former whilst premiums will have to be paid (under the National Land Code 1965) to the relevant state authority in respect of the latter. No estimates of these financial burdens have so far been disclosed by the corporation. Back in 2014, when the Kuala Lumpur-Singapore bullet train was first mooted, then Land Public Transport Commission (SPAD) chairman Tan Sri Syed Hamid Albar said the project “may miss a 2020 deadline” even if state land is used “as much as possible to avoid property acquisition disputes”. Back then, SPAD was said to be “inundated” with proposals to participate from various parties, including from French, Japanese, Chinese and German companies.According to the initial plan, the high-speed rail will operate four times hourly with two services, one non-stop and the other that will transit in cities and towns in four states. The express non-stop service will take 90 minutes, while the other journey with stops in four states will take about two hours. A similar journey now by train takes at least five hours. In August 2016, the corporation issued a statement saying that while HSR stations will be built in Putrajaya, Seremban, Ayer Keroh, Muar, Batu Pahat and Iskandar Puteri, the exact locations of the six stations would still be subject to change. The statement added that the corporation was then working with the relevant state authorities to freeze land transactions at the identified locations under Section 4 of the Land Acquisition Act 1960 (Act 486). Section 4 mandates the publication in the gazette of the notification in Form A (Notice that land is likely to be acquired). "Malayan Banking economist Suhaimi Ilias estimated the project may cost the governments of Malaysia and Singapore as much as RM40 billion. The cost may increase due to delays, taking into account inflation as well as increase in land prices"
Mohd Nur said since the alignment would be the longest in Johor (about 150km to 160km), there will be more land acquisition proceedings in the southern state. In addition to the 50m tract of land, there will also be the three transit stations to be built in Muar, Batu Pahat and Iskandar Puteri. He explained that the land acquisition exercise will be done in two stages. In stage one, there will be a freezing action under Section 4 affecting a corridor of 500m wide. The freeze on land transactions will allow the project team to undertake technical studies, including assessing soil conditions, expected social impact and other technical parameters before a smaller corridor is identified. The outcome of the studies will be presented through consultations and engagements with the relevant state authorities. To reach agreement on the “best location” of the station, consideration must also be given on how best to capture the HSR ridership by creating an integrated public transportation network with the existing infrastructure in the vicinity. When stage one is completed, the corporation will undertake stage two, which is the actual acquisition of a narrower corridor of about 50m. This means that much of the land originally frozen will “be released”. This 50m-wide corridor will be used for building the two tracks and reserving space in-between the tracks as well as the railway reserve. Bigger plots will be required to build the stations, depots and maintenance facilities. “We must find the best locations of these stations along the corridor to ensure this iconic project will truly benefit the country and the people,” Mohd Nur added. The publication of Form A in the gazette under Section 4 is normally followed by the publication of a declaration in Form D under Section 8 of Act 486. After Form A has been published in the gazette, the relevant authority will enter the land “to do such work as may be specified in such Form” (Section 5), after which the land administrator will prepare a plan of the land intended to be acquired and a list of such lands in Form C (Section 7). It is only after the state authority has decided “any of the lands” referred to in Section 7 is required, that a declaration in Form D under Section 8 is published in the gazette. Past experience shows several occasions when a Section 4 notification is not followed by a Section 8 declaration. When that happens, it means that the state authority has decided not to proceed with the compulsory acquisition. Some landowners may experience this in the months ahead. As indicated by the HSR corporation chief executive officer, it is only after stage one (the freezing stage) has been done and the ensuing study completed that the actual size of land to be acquired can be determined (stage two). Only then will the affected landowner know for certain if his land is indeed required for the HSR project. At this early juncture in the development of the HSR project, it will be premature for any landowner to dream of getting a sudden fortune as a result of his property (or part of it) being acquired for the project.